Your company’s marketing team can control and predict different components of its content marketing, meaning that the marketers can redesign the strategies when needed. But you can control your target audience’s response. You never know in advance, as to how the people are going to respond to your new video, infographics or text-based content such as a new blog. You created a piece of content and published it on the Internet but it is not producing the results you had expected. What can you do to tackle it? Experienced marketers know that even such a non-performing content can be transformed for giving the desired results. They understand that the post-publishing optimization process can yield the results.Invite your friends and families to learn more about our industry-leading graphic design marketplace. In most of the cases of content not delivering the desired results for business promotion, such a piece is often too long, which made users drop off. Or, the content was too annoying for the users, testing their knowledge of an issue or put up too many questions on unrelated topics, leading to their frustration. Some content has a nice headline but the tone of the body of the content is negative. This means that there is a mismatch between the title of the topic and the substance in the body. Using new technology for writing a good and meaningful content that helps you to change your content marketing strategy. But these are the issues to be tackled with the right solutions for content marketing. Your potential customers visit your sites from various sources on the Internet but they exit from the site early without taking the desired action. You may want them to buy something, subscribe to your newsletter, or take other such action. But they click away from your site without clicking on your call to action button. If your site experiences increasing number are leaving your site quickly, the site is suffering from high bounce rate. A possible reason for the high bounce rate could be that there is a wide gap between what you promised to the consumers and the content. It could be that the very title of your article and the corresponding image does not appear convincing to the audience. The article may be less relevant to them. The chances are that you are using clickbait, which annoys the consumers. It could be that your content is interesting and relevant but the readers find it too exhaustive. So, the reader click the link but later realizes that this long-form article will consume too much time. Such readers will go elsewhere to some easier article to find the information. What is the solution? Well, the reader did click on your article. That shows that something in your article title or starting paragraphs drove the reader to click the link. That is something positive we can talk about the article. A problem with the article may be that it is overselling an idea to your target consumers. So, just rewrite the content in a moderate tone. It may be that your interesting title is generating some curiosity among less relevant readers, who exist early from your site. So, revisit the piece and evaluate it for its impression on the readers. Find out if the piece needs less text and more visuals. If so, then post more interactive content to engage your readers and grab their attention. Your brand message is in the end of your article. But the readers are leaving the article half way and it is a problem. So, the readers started interacting with the article or the item but could not reach to the section where your brand’s message is at the bottom. It could be that your article is too long or it is not interesting and engaging enough to them. Due to the technology, you can find out exactly where your readers exit the content. Your article might have taken a turn that is less relevant to your readers and they left. 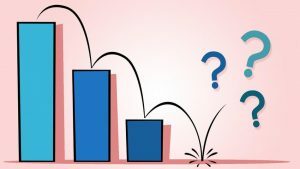 In an interactive content such as a quiz or a poll, it could be that readers left because they found some questions tough and could not get a suitable answer. Some difficult questions may frustrate the readers. To handle such a problem, edit your article, trim and rearrange it at those points where your readers leave more often. Rewrite the problematic section of the article and make it more engaging for your readers. So, find out the specific points at which your readers exit and recreate those sections of the article to engage your audience. 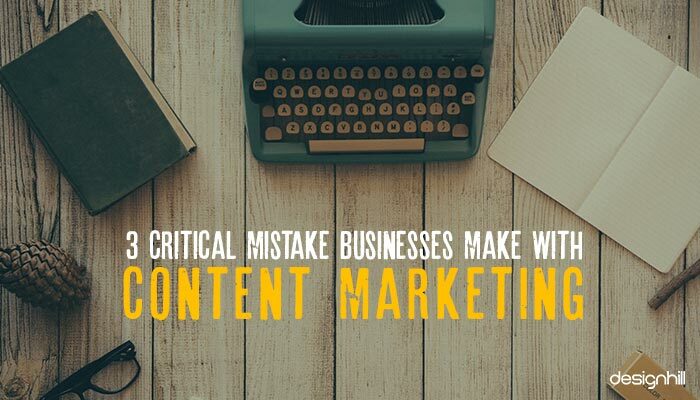 Many content marketers face this issue. They are overwhelmed by the problem that the readers do read an article to the end but do not share it with their peers on social channels. 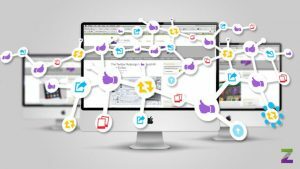 Without social media, your business promotion exercise is not going to yield the desired results of driving the consumers to your business websites such as an ecommerce site. When people share your content on social media, you turn them into your brand ambassadors. This problem may occur if the content is unable to evoke the right emotions from the readers or viewers. The readers will not share your content if they are not proud of it while sharing. If they are not excited about the content, they are unlikely to share it. Nobody likes to share a content with less interesting titles and hopeless visuals. So, get the titles of your article interesting and engaging. Use unique and exciting visuals. If your content is of the interactive type such as a quiz, ask some personal questions that touch the heart of your audience. But avoid embarrassing questions. Find out which type of questions are evoking a better response and is shareable. Tweak your other content accordingly. Provide them with some useful information that they can use in daily life. Such an article or any type of content with visuals will instantly be shared. Remember that readers when readers share content, they are actually sharing the experience gained from your content. Make sure that your content is not only engaging but also meaningful and useful. To conclude, your published content must engage your target audience. So, create the content that the readers can use and share, which is so crucial to driving more people toward your business.